Being an independent, creative type, I always dreamed of having my own business. 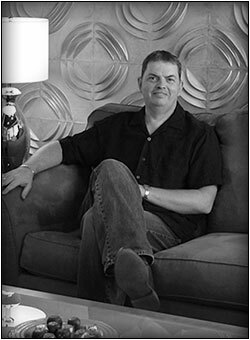 After acquiring a couple decades of experience working within creative agencies and corporations, I founded Cowan Graphic Design. It is one of the best decisions I ever made. I find myself working harder than ever before and loving it! What matters most to me is delivering innovative design solutions that exceed client expectations and make a real contribution to growing their business. I find that listening closely to my clients allows me to zero in on their wants and needs, deliver creative that resonates with them, which in turn reduces the amount of time spent on revisions…allowing us to manage costs and deadlines. Based just outside Raleigh, NC, Cowan Graphic Design develops creative materials for a wide range of clients and situations: from small start-up operations to mid-size corporations; from local professional service providers to non-profit organizations to global manufacturers across many industries. We have experience in wine, food, home furnishings, construction materials, legal, finance, insurance, and education spaces to name a few. Check out the rest of our site for more details and examples of our work. Look forward to hearing from you.